Teachley is an experienced team of educators, educational researchers and developers. Teachley’s founders hold PhDs in cognitive science and are expert teachers with over 30 years of collective experience in education, ranging from early childhood to adult learners. We are passionate about using technology to bring the best teaching and learning practices to all students, especially those from underserved communities. As experienced classroom teachers, we know how to create curricula that meet the needs of real classrooms, especially for students who struggle. As experts in cognition and learning, we have deep knowledge of how children develop and learn mathematics. As researchers, we know how to analyze and interpret data in order to infer children’s understanding and report meaningful predictions for schools. Dana has over 10 years of experience teaching and tutoring elementary school children from diverse backgrounds and is passionate about using technology to solve educational problems. After graduating Phi Beta Kappa from Cornell University, she earned a teaching fellowship and Master’s degree in Elementary Education from Smith College. She earned a PhD in Cognitive Studies in Education from Teachers College, Columbia University, where she studied the effects of digital manipulatives on children’s mathematical development. She has extensive experience designing educational software for young children. Dana is currently the Principal Investigator on a FastTrack NIH SBIR grant developing a classroom economy game. As a math curriculum designer, Kara brings over 10 years experience as a teacher, having taught all ages from 3-year-olds to adults. 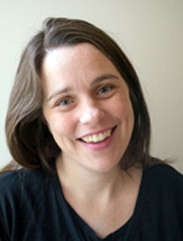 Kara first became interested in early childhood mathematics instruction as a second grade teacher in San Francisco, developing math curriculum with the Berkeley Mathematics Professional Development Institute before moving to New York and becoming a research fellow at Teachers College, Columbia University, co-managing a $1.4M grant developing early childhood math software. She has a PhD in Cognitive Studies in Education from Teachers College, Columbia University, where she studied children's strategy development in mathematics. Kara is currently the Principal Investigator on a FastTrack NIH SBIR grant developing a game-based core fractions curriculum. Rachael's passion for edtech stems from her years of experience in the field of education as an early childhood educator and educational researcher. She completed a PhD in Cognitive Psychology from Teachers College, Columbia University where she co-managed a $1.4M grant to develop early math software. Her dissertation evaluated how prepared pre-service teachers are to integrate technology in the classroom. Rachael spent several years designing math software for kids, evaluating the quality of early childhood programs, and leading professional development workshops for teachers.